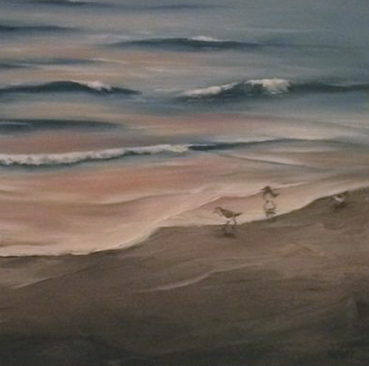 Beaches with Sandpipers is an original painting by Lee Chabot. 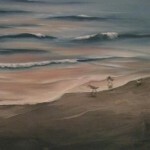 Beaches are always an inspiration and have a calming effect on the viewer. 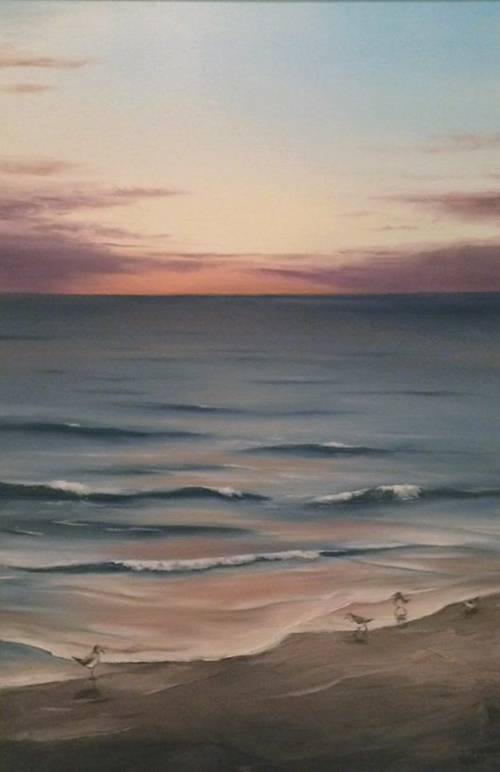 Here the artist captures the sunset on the horizon and sandpipers in the foreground. 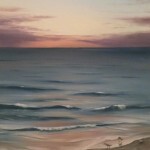 The piece is framed with a frame that compliments the work. Price includes shipping and handling in the Continental US. Call for pricing if the work will be ship outside the Continental US.